The average asking price of property coming to the market in Britain has increased by just 1% or £3,184 this month, the lowest monthly rate of increase at this time of year since 2010, the latest data shows. 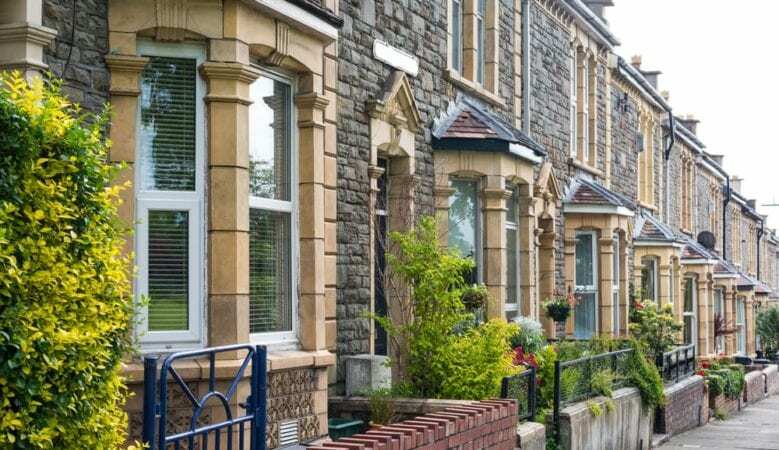 The data from property portal Rightmove also shows that the annual rate of increase fell to 0.9% from 1.2%, taking the average asking price to £307,245. The year on year growth is the lowest annual rate since February 2012, which was the start of the price recovery that led to average new seller asking prices rising by 33.9% in less than seven years. A breakdown of the figures shows that in Scotland annual growth is stronger, up 2.2% to an average of £153,256 while month on month growth was 0.1%, while on Wales asking prices increased 4% year on year and 0.3% month on month to £194,857. The South East of England saw average asking prices fall by 0.1% year on year to £406,290 but they increased by 0.2% month on 1.4% month on month. The analysis from Rightmove reveals that the slowest sector in the housing market is properties with two bedrooms or fewer with a 0.1% monthly price fall, which it says is a result of less active buy to let investor activity but this opens up opportunities for first time buyers. He also pointed out that while the backdrop of political uncertainty and stretched buyer affordability remains the same, this month has price drops at the bottom of the market dragging down the national average. ‘Stretched buyer affordability and a slowdown in price rises are the natural outcome of property prices increasing over the past seven years at a far faster pace than average wages. The prices of properties with two bedrooms or fewer have kept pace with the rest of the market with a 32.8% price uplift in that timescale, partly driven by buy to let investors seeking better and less risky returns than are available from other asset classes,’ Shipside explained. ‘Government policy has sought to reduce this activity through higher landlord stamp duty and lower income tax reliefs and so tilt the balance back towards first time buyers. Help to Buy is also encouraging first time buyers to buy brand new homes and may to an extent be redirecting them away from the second hand housing market,’ he added. He believes that first time buyers are helping to fill the gap in the market left by less competition from buy to let investors. ‘More activity may follow if prices remain subdued, with stamp duty relief and falling prices helping their affordability. If the Chancellor’s budget later this month encourages more landlords to sell to long term tenants for rumoured capital gains tax relief, then landlords who are looking to sell and renters who aspire to become first time buyers could work together for their mutual benefit,’ he concluded.